Christmas season always puts me in a creative mood and this weekend I have been very productive, not only decorating my little apartment but also try to do something extra. 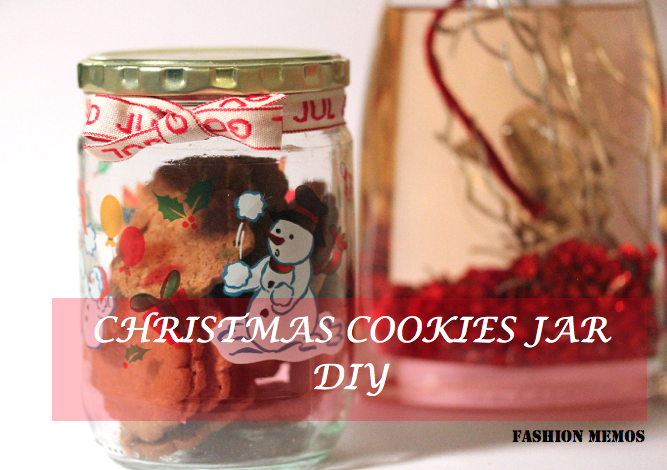 Todays DIY PROJECT is a jar for cookies with Christmas motives, that you can also use to store candies and other sweets during the Christmas season. It is great because it does not require the purchase of a lot of additional materials but what you have at disposal. You must clean the jar well and remove the sticker that was originally put, if you are re-using one. 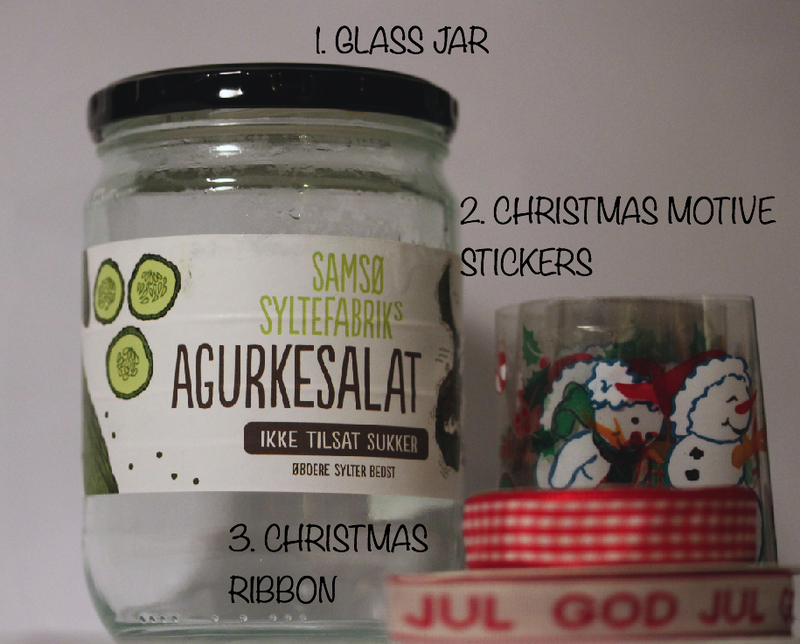 Then you must measure the christmas sticker according to how wide the jar is and stick it carefully. Be careful, with leaving air between the sticker and the jar because you will end up having balloons of air and it would not look as pretty. 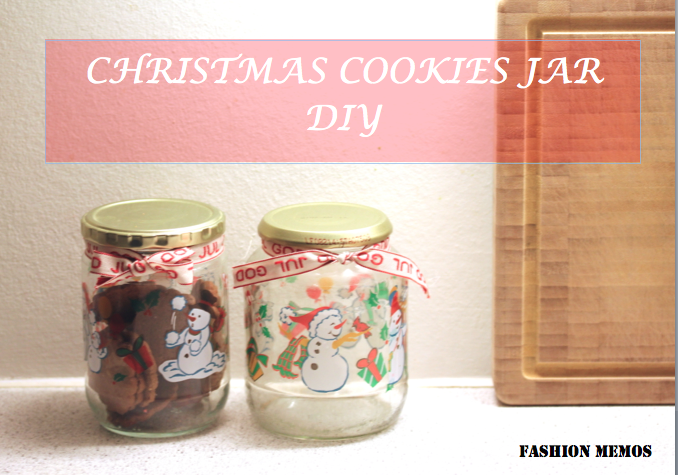 When you are finished with that, the last thing you need to do is choose a ribbon and put a bow on the jar. These look so so cute! I love them.